This innovative programme is funded under the Rural Innovation and Development Fund through the Department of Agriculture, Food and the Marine. Its objective is to encourage a stronger level of enterprise development in rural areas by seeking out and assisting start-up female entrepreneurs living in rural areas to grow and develop their businesses. Following a competitive tendering process, the Minister for Agriculture, Food and the Marine, Michael Creed TD has selected the ACORNS initiative developed by Fitzsimons Consulting as the most suitable to achieve the stated objectives. 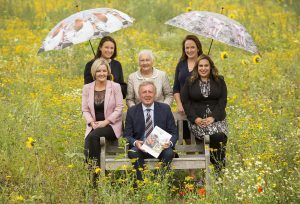 It is designed to unleash the potential of female entrepreneurs living in rural Ireland, who have recently started a business or who have taken concrete steps towards starting a business. The objective is to equip these early stage entrepreneurs with the appropriate knowledge, confidence and networks to successfully start and develop sustainable businesses.